On Saturday morning, February 21, 2015 we will remove invasive plants choking the trees — and practice our winter tree ID skills. Please don your winter work clothes, bring gloves and clippers and meet us between 9AM and Noon at the intersection of Walter Reed and Four Mile Run Drive. Our work saved this forest from development last year, now let’s give the trees more freedom from choking vines. 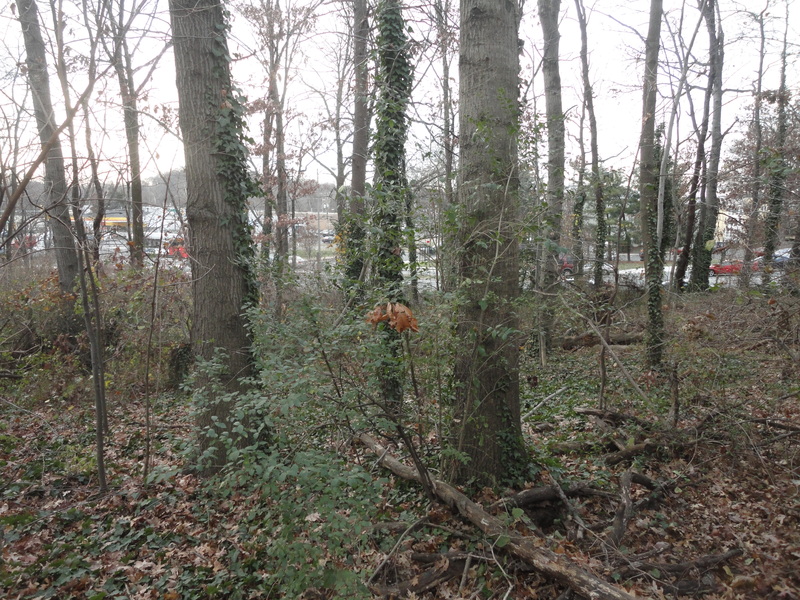 This forested parcel of land owned by Arlington County is being considered for relocation of the Phoenix Bikes Program and so it was inventoried by members of the Arlington Regional Master Naturalists and TreeStewards to determine the benefits from the trees and impact of tree loss if a building replaced the trees. 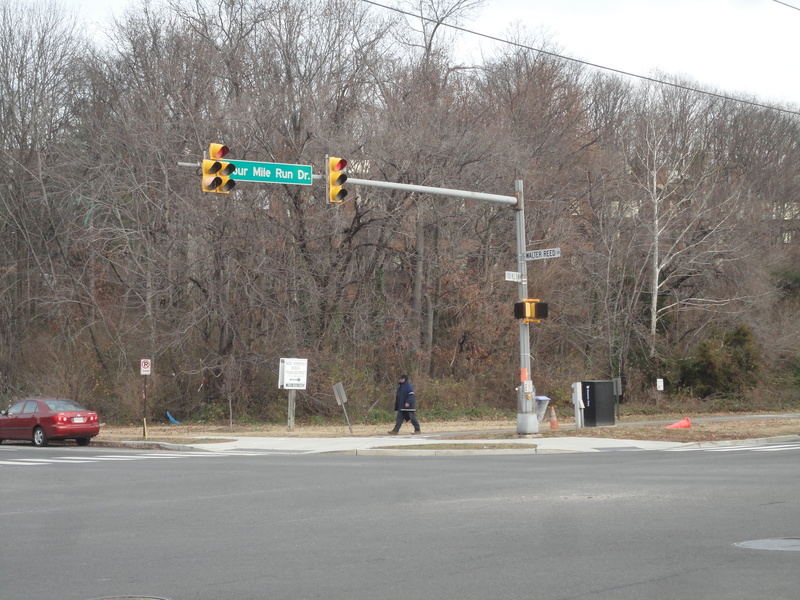 The wooded parcel of land (about an acre) is located along the Washington and Old Dominion Trail (W&OD Trail) at the intersection of South Four Mile Run Drive and Walter Reed Drive (eastern side of intersection). • Over 170 trees that are native tree species. • High species diversity with almost 30 different tree species including: American elm, ash (white and green), black gum, black locust, eastern red cedar, northern red oak, pin oak, red maple, scarlet oak, southern red oak, sweet gum, sycamore, and black cherry. • More than 120 trees with DBH’s greater than 6 inches. • Five trees of impressive size and shape: three native oaks, one native ash, and one native sweetgum between 30 and 40 inches DBH. The outer rim of invasive vines on this site hides a forest community that reminds naturalists of the resilience of nature despite all circumstances. During the tree survey, our team spent time watching birds and hawks, guessing what was burrowing under decaying logs, imagining the array of spring wildflowers set to pop out this spring, and forecasting the bouquet of brilliant fall color the diverse species boast. Despite this parcel’s small size, it hosts an intact forest ecosystem that is remarkably beautiful and vibrant; it is an urban gem. 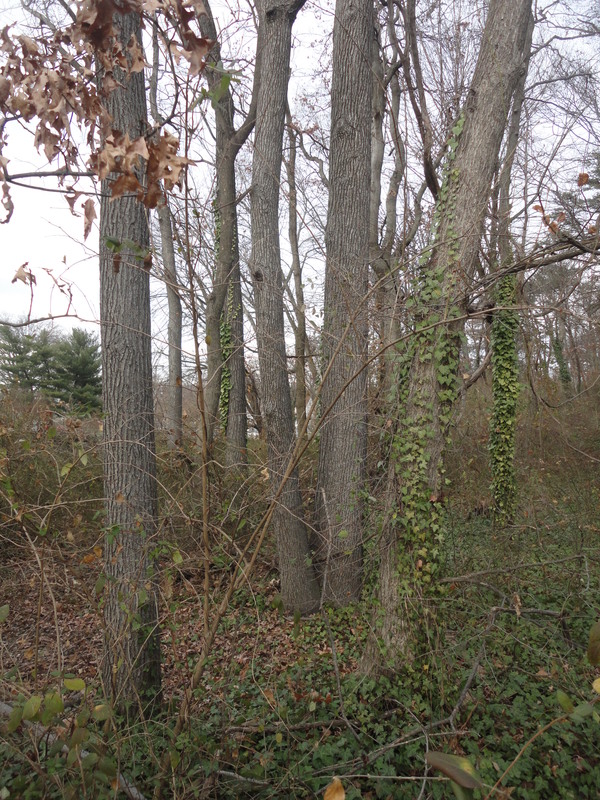 More than 30 Sweetgums (Liquidambar styraciflua) were counted, an unusual number for Arlington. Performing a tree census is generally the best first step for advocates. Now that volunteers have provided detailed information on what would be lost due to development, other citizens and organizations can use it when making their views known to the Arlington County Board. For additional information on how a tree inventory is conducted, leave a comment. Remember, we value what we can count. This entry was posted in Advocacy, Community Service, Education. Bookmark the permalink.